Casting primary rays from the camera to the scene and computing shading at the nearest intersection point; that is, the point nearest to the camera where a ray hits geometry. Casting shadow rays from the intersection point to the light source. If a shadow ray doesn’t reach the light because of intersecting geometry, the intersection point is in shadow. Casting secondary rays from the intersection point in random directions to simulate light bouncing. Lighting contributions are added where the secondary rays intersect geometry. 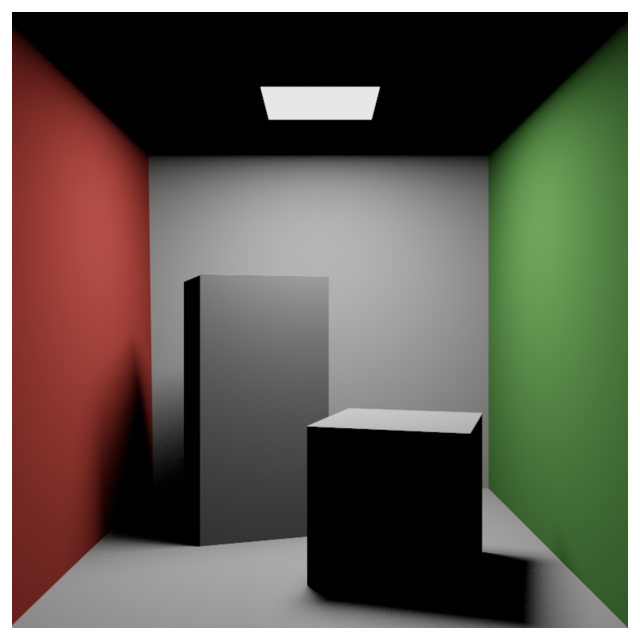 Ray-tracing apps spend a significant amount of time computing ray-triangle intersections, so the efficiency of the intersection algorithm impacts rendering performance. Metal Performance Shaders solves this intersection problem with a high-performance intersector. The Metal Performance Shaders MPSRayIntersector class accelerates ray-triangle intersection tests on the GPU. It accepts rays through a Metal buffer and returns either the closest intersection (for primary rays) or any intersection (for shadow rays) along each ray through a Metal buffer. Metal Performance Shaders builds a data structure called an acceleration structure that optimizes computing intersections. Metal Performance Shaders builds the acceleration structure from vertices that describe the triangles in a scene. To search for intersections, you provide the acceleration structure to an intersector. In the real world, photons are emitted from light sources and end in the camera. Simulating real-world conditions is computationally expensive, so in this sample, rays originate from the camera. 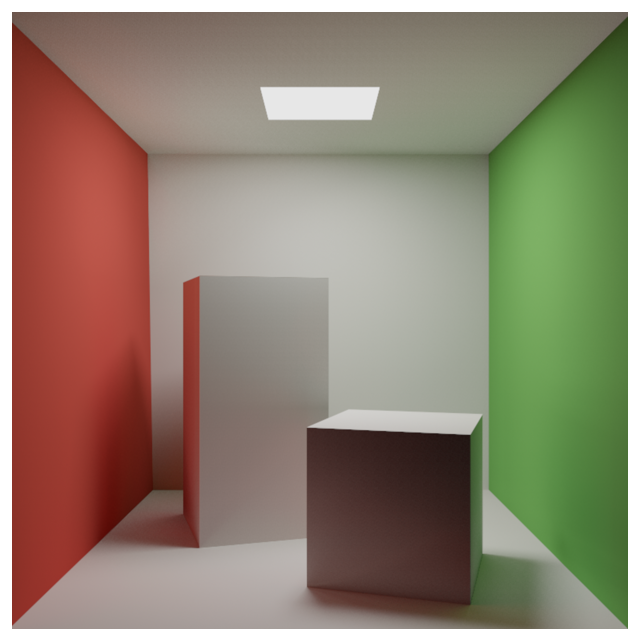 Primary rays render an image that’s equivalent to an image rendered by a rasterizer. The intersector’s encodeIntersection(commandBuffer:intersectionType:rayBuffer:rayBufferOffset:intersectionBuffer:intersectionBufferOffset:rayCount:accelerationStructure:) method computes intersections and encodes its results to a Metal command buffer. 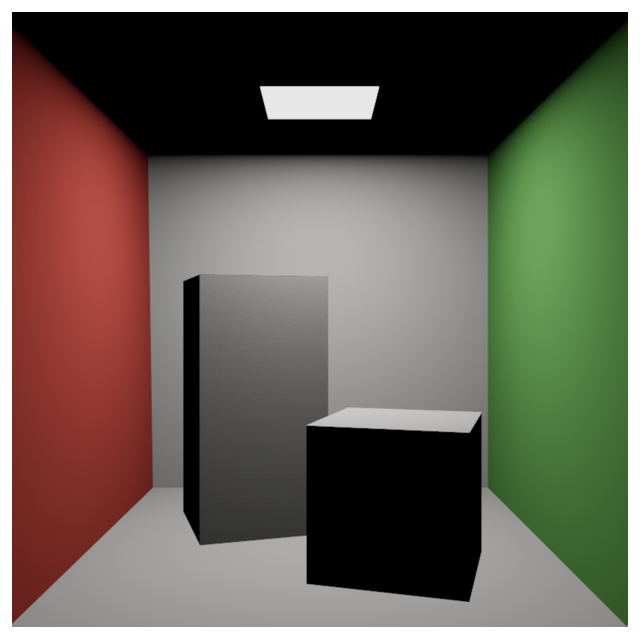 Another compute kernel applies lighting and textures based on the intersection point and vertex attributes. This shading kernel has one thread per pixel and takes the place of the fragment shader in a rasterization workflow. Unlike with fragment shaders that interpolate vertex attributes, with a shading kernel, you do the interpolation yourself. Intersections in the shading kernel are defined by the distance between the intersecting ray’s origin and the geometry, the primitive index, and a two-element vector that represents the barycentric coordinates of the intersection on the triangle. Add shadows by casting a shadow ray from the intersection point to the light source. If the shadow ray doesn’t reach the light source (if some other geometry is blocking the path between the intersection and the light), that intersection point is in shadow, and you shouldn’t add its color to the image. They require the maximum intersection distance to avoid overshooting the light source. The primitive index and coordinates of the intersection are unimportant. They propagate the color from the shading kernel to the final kernel. You can reuse the intersector and acceleration structure you used for primary rays to compute shadow ray intersections, but you’ll need to configure it to use a ray data type that supports shadow rays, based on the differences listed above. You can add your own properties to the ray structure and specify the intersector’s ray stride to make the intersector skip over the additional data when reading from the ray buffer. // you'll save memory bandwidth. // to the output image. Secondary rays simulate light bouncing around the scene, adding diffuse reflected light to areas in shadow. This effect is difficult to simulate with a rasterizer, but simple with a ray tracer. You can implement secondary rays by looping over the kernels, applying a random direction to rays with each iteration. This sample chooses a random direction for each secondary ray with a probability proportional to the cosine (dot product) of the angle between the sample direction and surface normal. This sampling strategy reduces the amount of noise in the output image. The sampleCosineWeightedHemisphere function uses the inversion method to map two uniformly random numbers to a three-dimensional unit hemisphere. The probability of a given sample is proportional to the cosine of the angle between the sample direction and the “up” direction (0, 1, 0).